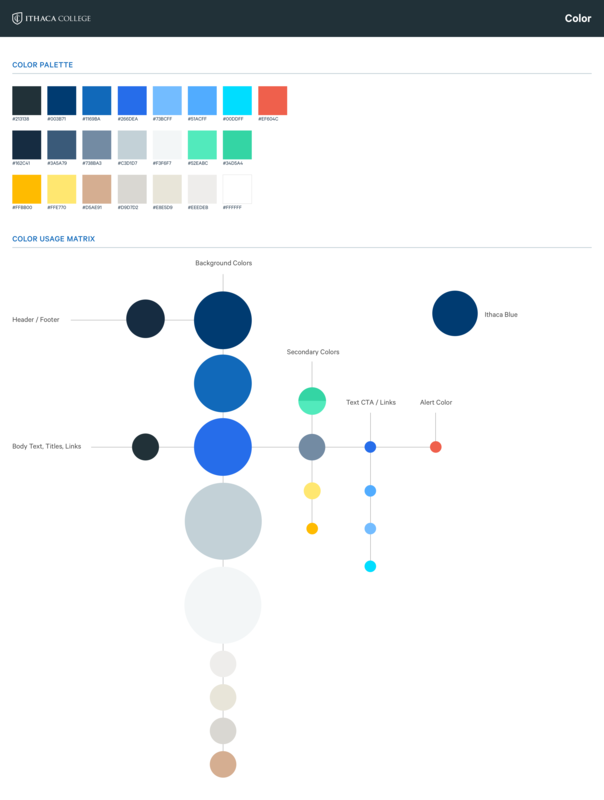 Building an immersive digital experience. 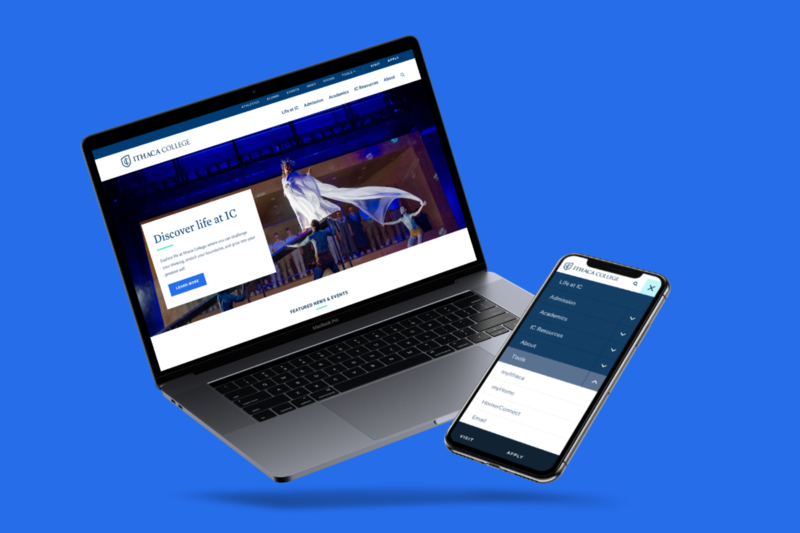 ﻿Ithaca College was in need of a complete digital overhaul to re-energize the brand online and build a stronger appeal with students and alumni in a highly competitive market and to celebrate the types of talent, character, culture, and ambition that make IC, unlike any other college or university. 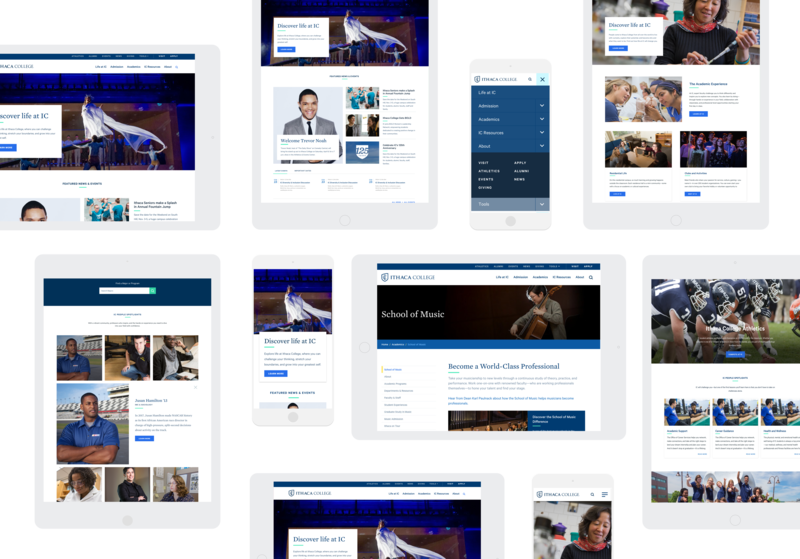 Create a responsive design that unifies the site experience. 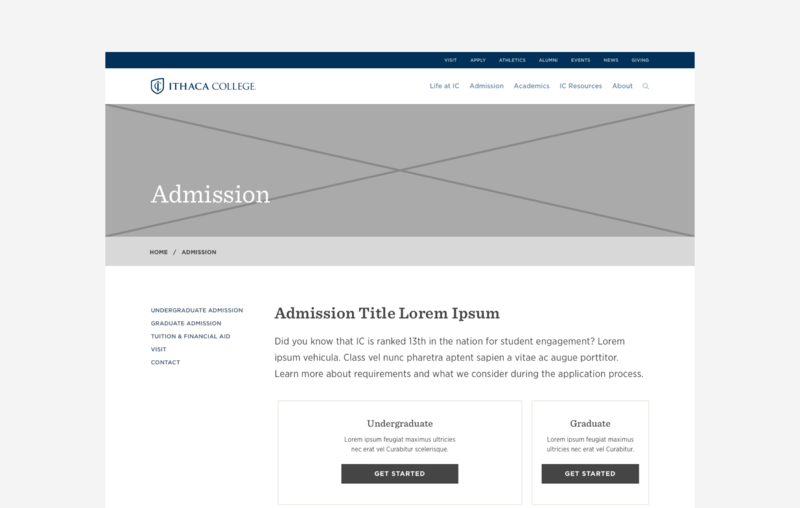 Design an IA to cater for Ithaca College’s core audiences. Improve workflow processes, accountability, and management of the website. Develop a site with a rich and flexible content authoring and management experience, using an open source CMS - Drupal. Organizing thousands of pages of legacy content and creating new experiences for various audiences, priorities, and user journeys. The research was a critical part of the design process. We interviewed students, parents, and faculty, conducted co-design exercises, and tested critical assumptions with our users in order to arrive at our final designs. 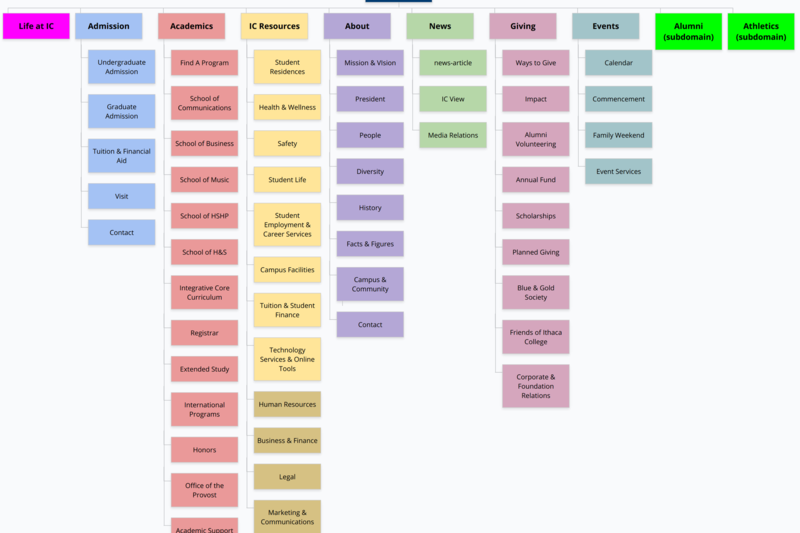 Not only did this ensure that we were truly designed with our user's needs in mind, but it also helped focus a diverse array of projects stakeholders on what really mattered. 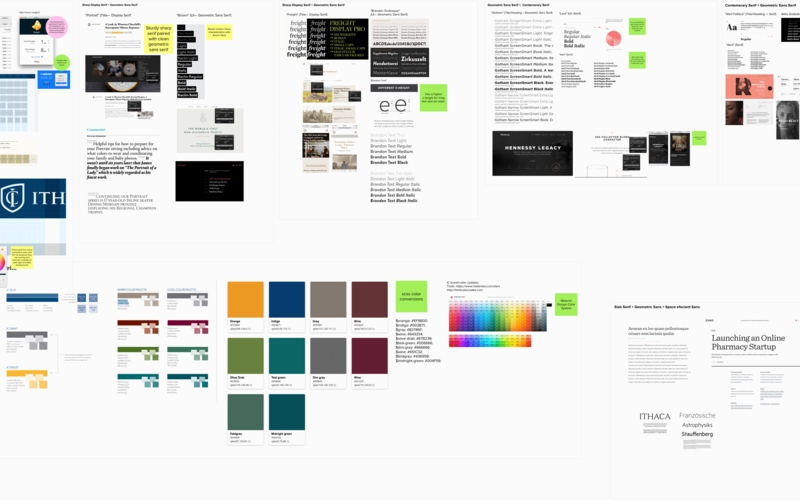 Research was a critical part in design process and prioritizing visual hierarchy of individual elements that reinforced the tone while making interactions feel effortless. 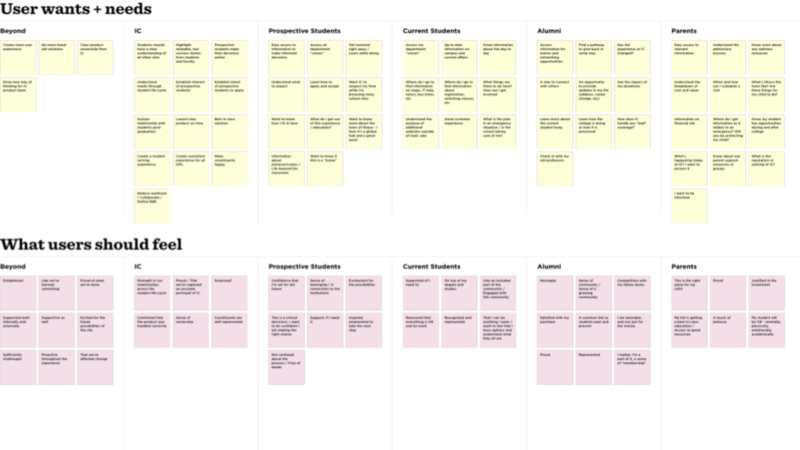 We interviewed students, parents, and faculty, conducted co-design exercises, and tested critical assumptions with our users in order to arrive at our final designs. 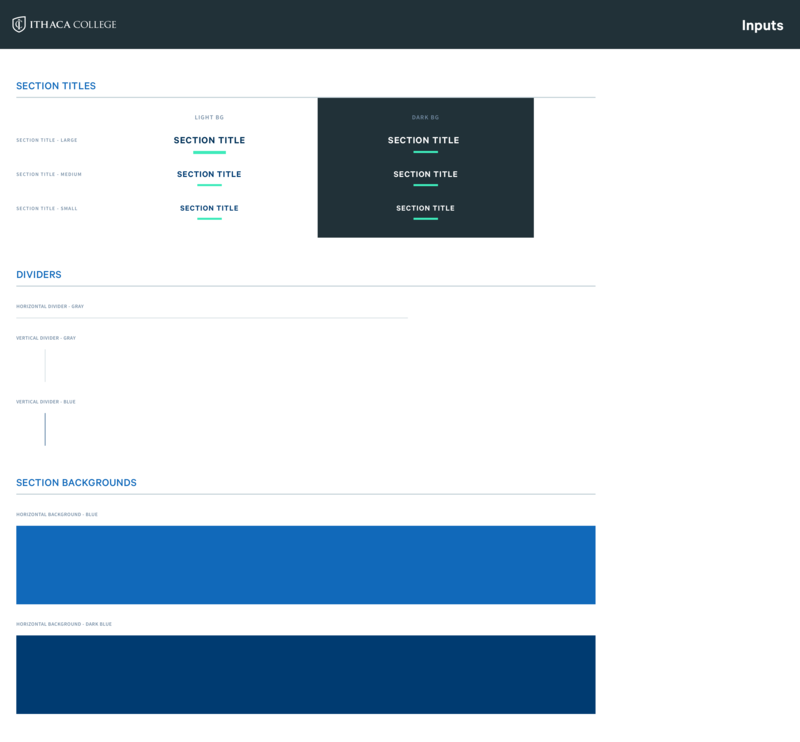 Not only did this ensure that we were truly designing with our user's needs in mind, it also helped focus a diverse array of projects stakeholders on what really mattered. User Needs Discovery and IA Navigation Sitemap. 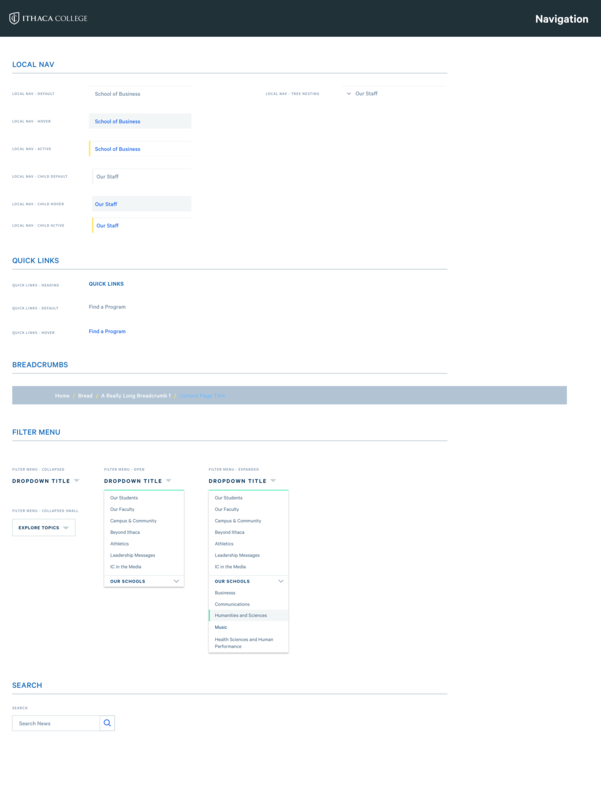 User Needs Discovery (top) and IA Navigation Sitemap (bottom). Develop a modular design process to build the site for easy content creation, customization, and curation. Content recommendations documents provided by content strategists for priority landing pages helped speed up the wireframe process to ensure the vision of the page is achieved and the integrity of the page remains intact. We presented wireframes to campus partners allowing them to provided real time feedback. Editorial guidelines provided by content strategists for priority landing pages helped speed up the wireframe process to ensure the vision of the page is achieved and the integrity of the page remains intact. We presented wireframes to campus partners allowing them to provided real time feedback via Invision collaboration tool. 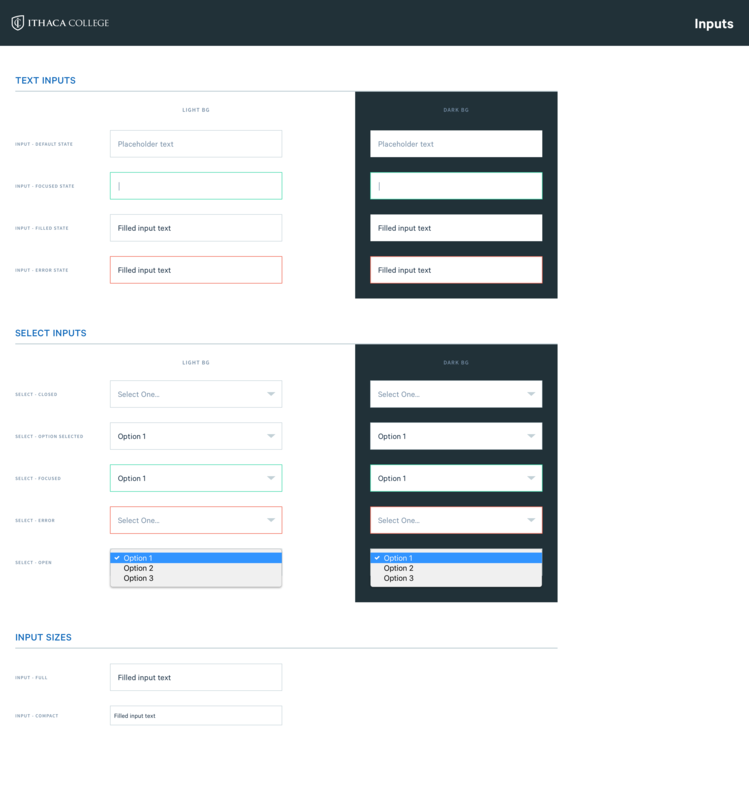 Admission Wireframe and Admission Wirefram Feedback. 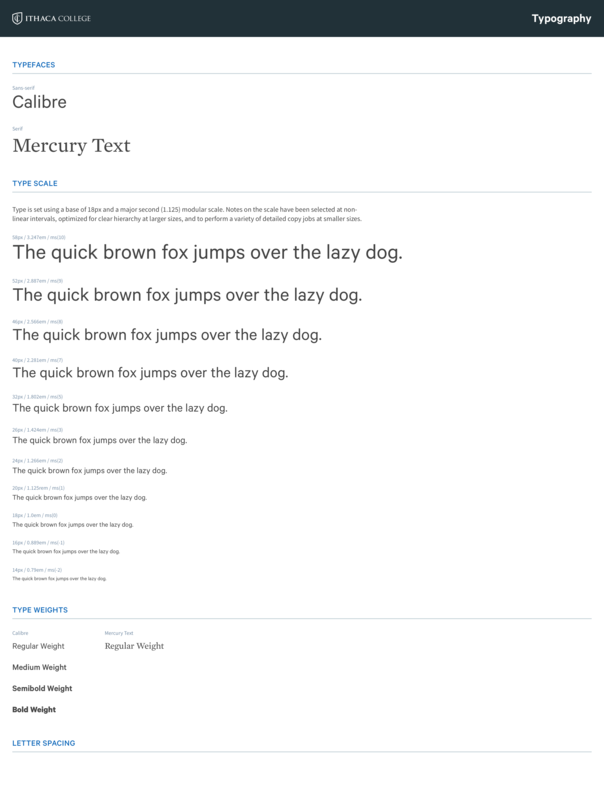 To maintain consistency and guarantee efficient design to dev handover, I developed a modular design system based on Brad Frosts, Atomic Design methodologies that provided a unified library of including typography, space, layouts and grids, color, components, pattern usage, and coding conventions. 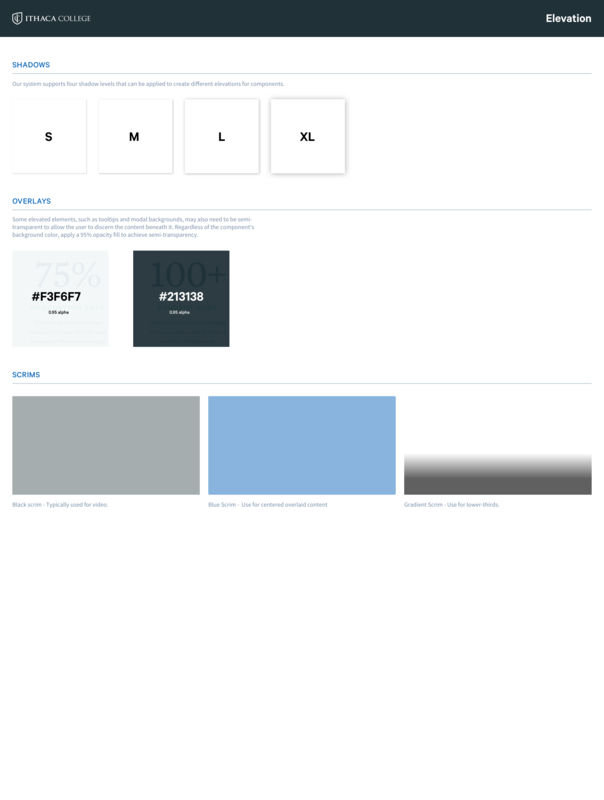 Every component can be rearranged and combined with others while maintaining design consistency and recognizable UI patterns for the user. 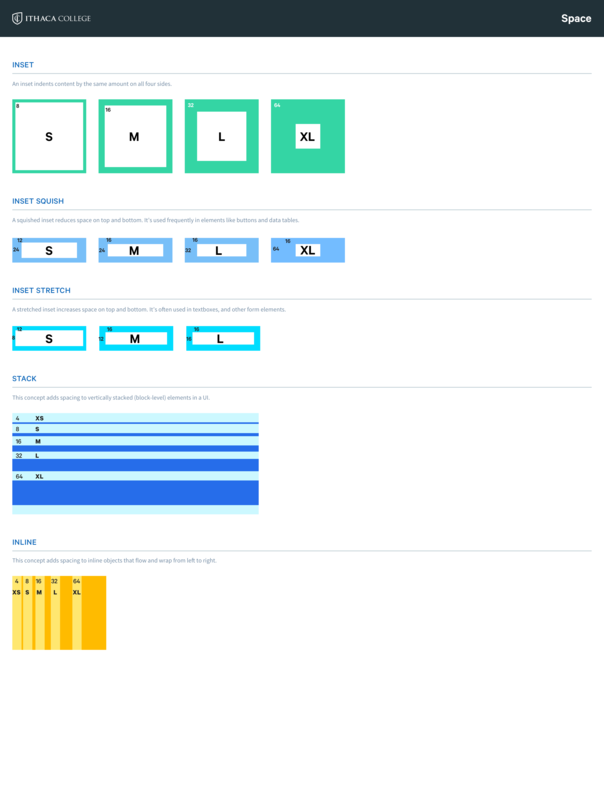 To maintain consistency and guarantee efficient design to dev handover, I developed a modular design system based on Brad Frosts, Atomic Design methodologies that provided a unified library of including typography, space, layouts and grids, color, components, pattern usage, and coding conventions. 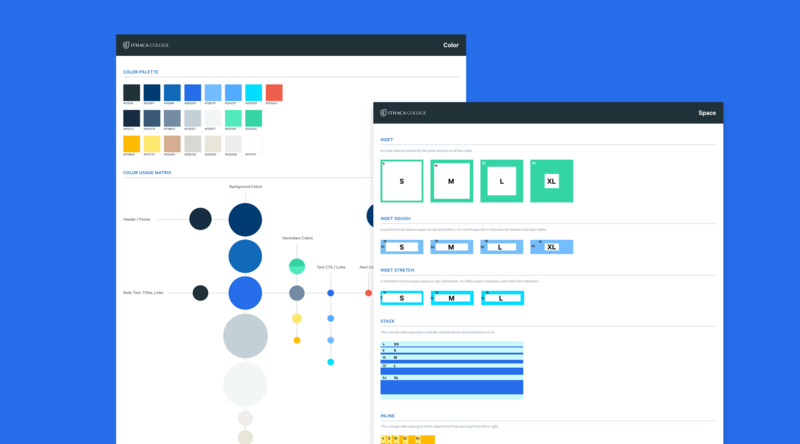 Every pattern can be rearranged and combined with others while maintaining design consistency and recognizable UI patterns for the user.